How was your Thanksgiving? Memorable, I hope. Full of the triple-Fs: family, food, and fun. My sister-in-law usually holds Thanksgiving at her house, but they’re having some work done on it, so her daughter stepped up to the plate–or stove, to be more accurate. Amber and her husband and two kids have a lovely two-story, so there was plenty of room for all of us, including the dogs. Family gatherings with our clan include more than just parents and kids. All the dogs get to have a reunion too. MSB and I have cats, so they stay home, but they wouldn’t feel safe anyway. There’s Cash, the old, super-sized Catahoula who’s getting a bit arthritic now; Bosco, the Boston Terrier and the star of last year’s Thanksgiving; Steadman–if I’ve remembered the name right, but don’t bet on it–the spastic Maltese Poodle mix (MaltiPoo); Lucy, the sweetest deaf Border Collie you’ll ever meet; and Toby, the Pomeranian. Toby is a tiny thing, and everyone is confused about whose dog he is. He’s supposed to be Susan’s, but he’s always in her husband Carlton’s arms. Now, this is something you’ve got to see: Carlton is not a small man. He’s tall and broad and commanding. His natural features seem gruff, like he frowned a lot at his job. He has a deep line trenched between his brows. His voice is soft and low, and sometimes menacing. It took me forever not to be afraid of him. But seeing this lumberjack of a guy go soft over a tiny little Pomeranian warmed me up to him. There’s no doubt in my mind. Toby is Carlton’s dog. The dog in the picture is a bit more cream colored than Toby, but he looks pretty much the same. Toby isn’t a yapper, like you’d expect from a small dog, but he does love greeting everyone. He’s very much a people pup. When we first got to Amber’s, he danced on his hind legs, wanting me to pick him up, and he stayed my buddy for quite some time before someone else caught his eye. Then he remembered his job as official greeter and took off. Before he left, though, I realized he’d lost a leg. I’d been holding him all that time and didn’t notice. According to Susan, she had taken him and their other dog Lucy shopping somewhere with her, and he’d gotten excited about seeing all the people. He felt responsible for greeting everyone and jumped out of the cart. Bad move for such a tiny dog. His leg snapped. They did everything they could to save it, but they couldn’t, and now he only has three. He endures the nicknames with a smile and a lick–Tripod, Yardstick (because he’s a three-footer). He’s very good natured about it. At one point, he went upstairs with me to check on the kids, me holding him, him watching every move we made and grinning. He always grins. I put him down once we got up there, and he sniffed everyone to make sure he hadn’t missed greeting them. When we were going back to the family room, though, he didn’t want me to carry him. He stood at the head of the stairs looking down like he was hesitant, but he skittered away when I tried to pick him up. “Can you get down the steps?” I asked, as if he could understand English. Well, apparently he could understand. He glanced at me with that cute little grin on his face, then ran ploop, ploop, ploop down to the first floor faster than you could say, “Watch your step, Trio.” He looked back up at me from the bottom with a satisfied smile, then took off in search of Papa. It’s amazing how resilient animals are. Toby lost a leg. Not his love for people or his enthusiasm for life or that sweet grin he always wears. Some things may be a bit more challenging for him, but he manages. This after-Thanksgiving, I’m thankful for him and the lesson he taught me–how to handle the cards life deals with the grace of a pup. This entry was posted in Misc., Personal and tagged Border Collie, Boston Terrior, Catahoula, dogs, maltipoo, Pomeranian, Thanksgiving. Bookmark the permalink. It is amazing the life lessons our four-legged, uhm, three-legged companions (sorry couldn’t resist and said with the utmost respect 🙂 ), show us. Each has a unique personality and I suppose that’s why the saints (or sinners) stand out. Little Toby sounds like one of the little saints. What a sweetheart. How many of us manage our much smaller challenges with as much joy? However, trust in God can give us the grace to be joyful rather than sour. Love this story, Linda. Thank you for sharing. So glad you liked the story. Thanks, Ceci! What a cutie! A good friend of mine had a Pomeranian. They’re crazy cute dogs! 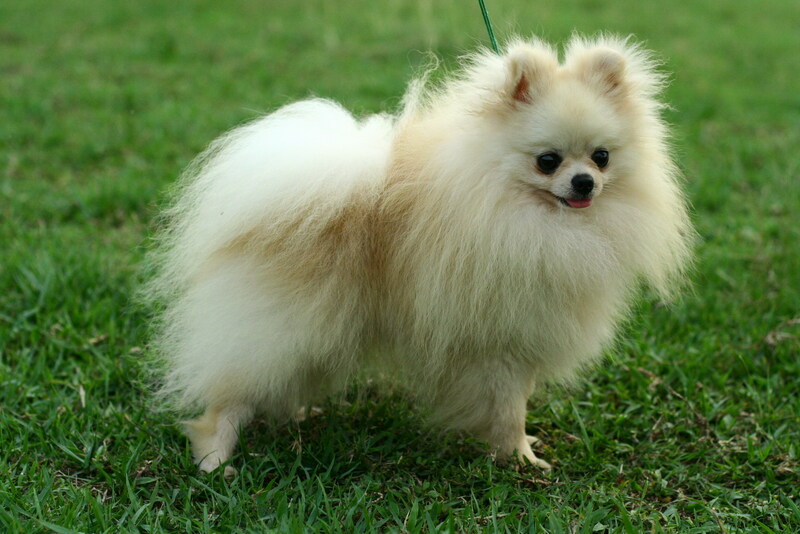 I think the hubs is going to replace our cats with a Pom. He’s smitten! Being a dog lover, I enjoyed this post. I can just picture the hesitant yet proud look of Toby going down the steps. I enjoyed last year’s post about Bosco too. I would love to meet that dog! I could use his help in my 7th grade English classroom. So glad you liked the stories, Melodie. Thanks for the comment!